Danielle Brooks attends the Netflix FYSEE Kick-Off at Netflix FYSEE At Raleigh Studios on May 6, 2018 in Los Angeles, California. 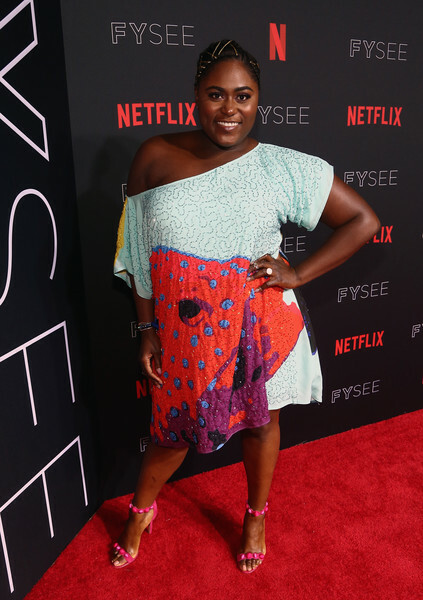 Danielle Brooks cut a colorful figure in a beaded off-the-shoulder dress by Margarita Alvarez at the Netflix FYSEE kickoff event. Danielle Brooks went all out with the colors, pairing her dress with hot-pink beaded sandals.